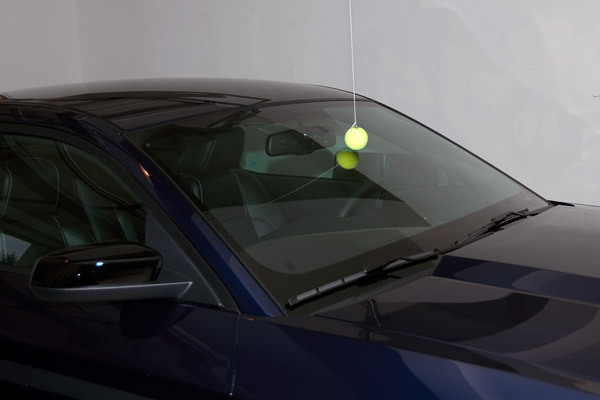 Here is a handy tip for helping you park consistently in your garage every time. All you need is a tennis ball and some string. 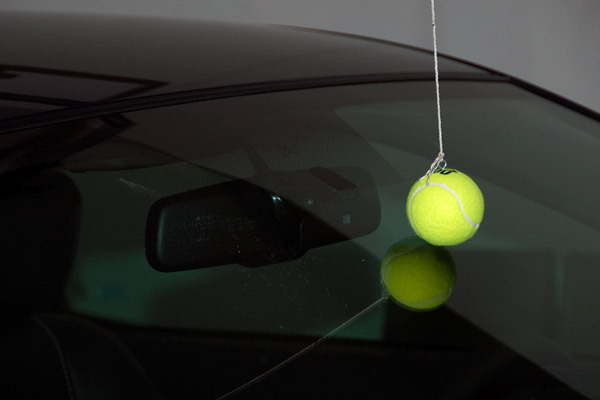 Just take a measurement or two while your car is in the optimum spot in your garage then hang a tennis ball from the ceiling at that location and then you can just drive in and stop when it touches your windshield. I centered mine up with the rear view mirror.